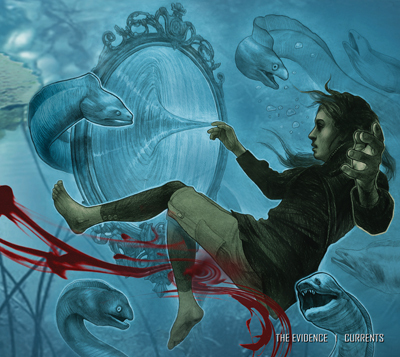 Our dear friend Heather McLean has finished the artwork for The Evidence’s new album, Currents. Heather’s canvas of choice is skin and you’ll usually find her working her magic at Strangeworld Tattoo, but she has been kind enough to lend her vision to us for both the Polarity and Currents albums. We are so stoked to unveil this artwork, and even more excited that our sonic endeavors are so beautifully complimented by memorable visual pieces like this. You can see more of Heather’s work at her website, and hopefully you’ll get to see a new creation from her for each of our releases! What a collection that would make. At any rate, our sincere thanks to Heather. We look forward to unleashing this beast in the new year.